Press releases, media mentions, industry commentary, internal company news and announcements from Energy Matters for 2008 and 2009. If you’re a reporter or journalist needing assistance in research on a renewable energy topic, please see our media page. Our video page is here and our corporate profile can be viewed here. General industry news can be found in our renewable energy news section. Energy Matters has announced its successful bid to supply solar panels to the New South Wales Government. Read more. Originally described as a “farce”, the Victorian feed in tariff program is being turned around – not by Government, but by market forces. Read more. Energy Matters is experiencing significant spike in home solar power enquiries in New South Wales after confirmation of the state’s feed in tariff legislation passing. Read more. Energy Matters’ Max Sylvester commenting on the confirmation of New South Wales Solar Bonus Scheme Read more. One of Energy Matters’ founders, Max Sylvester, was interviewed by ABC Gippsland’s Celine Foenande and listeners called in with questions about renewable energy and energy efficiency. You can listen to the show here. Australian solar power company Energy Matters has its sights set on assisting the Maldives in making the switch to renewable energy. Read more. Many Australian business owners are missing out on numerous incentives available for making the switch to solar power. Read more. Energy Matters launches an online community to cater to supporters of solar power and other forms of renewable energy in Australia.. Read more. Energy Matters unveils a new online tool to help people calculate their solar power system requirements. Free to use and the first of its kind in Australia, the application requests some basic details, then based on solar power equipment choices selected and the user’s location, generates detailed performance information and graphs. Read more. Energy Matters will be attending the National Australia Bank Environment Expo; showcasing renewable energy and energy efficiency information to over 5,000 South Australian and New South Wales NAB employees. Read more. Energy Matters launches “SolarGate” initiative. The Australian solar industry and households wanting to install solar power systems have been left hanging in recent weeks in relation to government rebates, resulting in many providers having excess stock of solar panels. Energy Matters has decided to clear some of their surplus stock by extending an offer to senior politicians – an initiative they call “SolarGate”. Read more. A public meeting to discuss solar power and the opportunity to participate in a solar buyers group will be held in South Australia’s mid-north at Blyth Cinema on Monday, April 27, at 7.30pm. Energy Matters will be in attendance to outline how solar power works and answer questions from attendees. Read more. 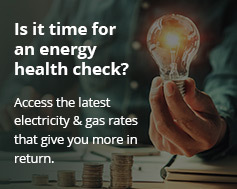 Energy Matters will be running free information sessions on grid connect solar power for Canberra residents this weekend as part of the company’s “double dip” ACT solar incentives special offer.. Read more. A petition initiated by Energy Matters calling for the Federal Government to implement a national solar gross feed-in tariff program has already gathered over 10,000 signatures in support, less than a month after it was launched. Read more. The Energy Matters Brisbane team will be in attendance at the Brisbane Home Show 2009. Energy Matters technical staff will be on hand to answer questions and provide free advice on renewable energy options, plus to arrange for no-obligation quotations and free site inspections. Read more. Energy Matters has launched a national petition at FeedInTariff.com.au concerning the issue of renewable energy feed in tariffs and lack of momentum in a national, gross model program being implemented in Australia. Read more. As Australia moves towards becoming a solar nation, Energy Matters has identified a gaping hole in current legislation to protect owners of solar power systems from neighbouring properties undertaking construction or plantings that throw shade over their solar array. Read more. Energy Matters today announced a partnership with Sanyo for the distribution of Sanyo’s 205 Watt HIT Solar Panel; a revolutionary hybrid solar module designed specifically for grid connect solar power systems that brings the best of monocrystalline and thin film technologies into a single unit. Read more. This week, sixteen Mallacoota and Gipsy Point households had solar photovoltaic systems installed on their roofs by the company Energy Matters. All sixteen units were inspected and issued with safety permits. The whole operation went like clockwork thanks to the professionalism of Luke and his team of installers. The next round of installations will be some time in January. More than seventy households have expressed an interest in the scheme, with over fifty who have already completed the paperwork for the work to go ahead. This has been an extraordinary response from our town, and once all houses are fitted, Mallacoota and Gipsy Point will come close to achieving our 2020 target by next year! Certainly something worthy of celebration. Solar panels are very much sought after on the black market; often appearing in online classifieds and auction sites. Energy Matters, a leading provider of renewable energy equipment in Australia, has just released a new guide for people concerned with solar panel theft. Read more.